While U.S. President has dumped DACA (Deferred Action on Childhood Arrivals), and he is now deporting people solely based on their immigration status, there is one other thing that he has done that has become a problem. 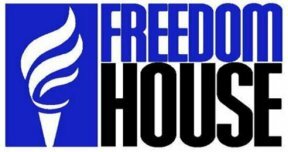 The well-known organization Freedom House, which measures freedom in the United States and throughout the world, has also become increasingly critical of him. There are two things that Freedom House finds disturbing. First, Trump’s pardon of former Maricopa County of Arizona police chief Joseph Arpaio for Arpaio’s deliberate failure to obey federal laws in the protection of the rights of Latinos. Freedom House has called this “pardoning the unpardonable,” and has expressed that what makes this pardon an exception is that Arpaio had purposefully flouted the law because of his extreme prejudice against Latinos. On top of this, Arpaio regularly ignored the basic rights of Latinos and Latino prisoners under his jurisdiction. In expressing their alarm at Trump’s pardon of Arpaio, Freedom House has stated that, “Most presidents have issued pardons to persons who have expressed remorse, served all or part of a prison sentence, or been victims of injustice—standards that this administration has ignored.” This is to put it mildly frightening. Another thing that Freedom House has found frightening is that the U.S. State Department under U.S. Secretary of State Rex Tillerson has been removing the word “democracy” from any and almost all news items and messages. The danger here is that nations that are either under military rule, under one-party rule, or are one person dictatorships will see that the United States is no longer promoting democracy as a cornerstone of American foreign policy. Such authoritarian states will get the idea that the United States is turning a blind eye to them and their civil and human rights abuses, and that the U.S. government will no longer push those authoritarian countries that ally with the United States on what terrible abuses they may be committing against their people. One thing I have noted about Freedom House is that they rarely, very rarely ever mention anything about the United States or what any president does. But when they do, they are making it clear that it is a major concern. It is becoming obvious that Donald Trump has authoritarian tendencies that will complicate the office of the presidency.